Application Deadline: The application deadline is May 5, 2017. Royal Tropical Institute (KIT) is offering scholarships to talented health professionals from low-income countries. Scholarships are awarded to study either Master in International Health or Master in Public Health programme. KIT Scholarship Fund offers scholarships to talented health professionals from low-income countries to study master’s programme at KIT (Royal Tropical Institute). The aim is that with what they learn they can contribute to improving the health care situation in their country or around the world. 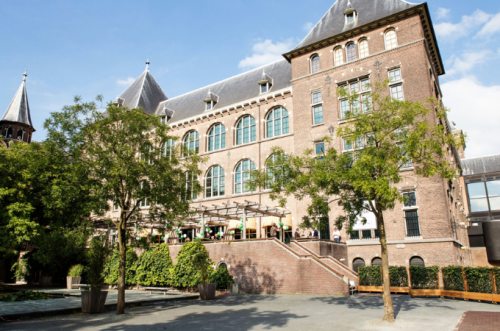 The Royal Tropical Institute (KIT) is a foundation located in Amsterdam, The Netherlands that studies tropical cultures worldwide. Course Level: Scholarships are available to study master’s programme at KIT (Royal Tropical Institute). Study Subject: Scholarships are awarded in International Health or Public Health. Scholarship Award: The scholarship is worth €15,000 and is intended as a contribution to the tuition fees of the master’s programme for a maximum period of 12 months. All remaining costs are the responsability of the scholarship holder. The scholarship starts and ends on the dates indicated in the award letter. Eligibility: Candidates must be admitted to either the Master in International Health or Master in Public Health and meet all application requirements of the scholarship. They must hold a passport from an emerging country in South America, Africa or Asia and meet the requirements for obtaining a Dutch visa (MVV residence permit). Nationality: Citizens of low-income countries are eligible to apply. 1. Entrance Requirement: Applicants must have bachelor’s degree or equivalent. 3. English Language Requirement: A minimum TOEFL score of 5.5 or a minimum IELTS score of 6.0 is required. Please note that candidates must take the Academic test and not the General one. Proof of financing for the remaining part of the funding (approx. 17.000 Euro). This can be bank statements, a letter of financial support by another scholarship provider, employer or other sources. Step 3: Complete applications will be reviewed and applicants will be notified of the results in the week of 15 May 2017. IMPORTANT: If you are selected for the KIT Scholarship Fund, KIT needs to receive the remaining sum before 1 June 2017. The reason for this is that NL immigration services have strict rules w.r.t. proven financing of students. Monthly installments will be provided to you by KIT. Visit Scholarship Web Link for more details. Now that all the information about KIT Scholarships for Low-Income Countries in Netherlands has been delivered nicely; talented students who are eager to pursue their Free Tuition/Scholarships/Study in Netherlands can apply now. Labels: Health Scholarships, Master's Scholarship, Netherlands Scholarships, Scholarship.